MEDIA COURTHOUSE — A Delaware County personal injury attorney accused of stealing more than $400,000 in settlement funds that were supposed to go to his clients now claims he has no memory of his alleged actions. Gregory G. Stagliano, 61, of the 500 block of Chaumont Drive in Radnor, is charged with theft by unlawful taking, theft of services, theft by deception and receiving stolen property, all felonies of the third degree, as well as a misdemeanor count of unauthorized practice of law. He is additionally charged in a separate but related case involving insurance. Stagliano has been declared incompetent, however, on the basis that he cannot remember the entire period when he allegedly was pocketing money that was supposed to go to nine different victims he represented in personal injury cases. 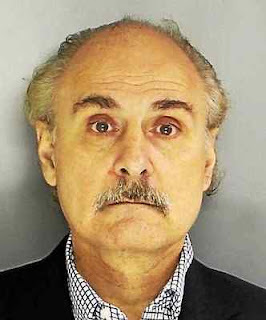 Former District Attorney Jack Whelan said when announcing the charges in May 2017 that investigators led by county Detective Michele Deery began looking at Stagliano in July 2016, based on a tip from the Disciplinary Board of the Supreme Court of Pennsylvania. Investigators found a similar pattern of theft in each of the nine cases, with Stagliano allegedly depositing funds meant for clients into his own Santander Interest on Lawyers Trust Account for personal use. Stagliano has been represented by three attorneys in the case and previously appeared before Delaware County Court of Common Pleas Judge Mary Alice Brennan, but the case is now before Senior Judge Michael Coll, who handles competency cases. Stagliano’s current attorney, John Hickey, filed the competency motion on the basis that without his memory, Stagliano cannot assist in his defense. Hickey and Assistant District Attorney William Judge appeared before Coll at the end of January on that issue. Coll signed the order Feb. 7 directing Stagliano to seek treatment for restoration of competency, but seemed incredulous of Stagliano’s claims during a hearing Tuesday. But Hickey noted that a court-appointed psychologist, a neuropsychologist and Stagliano’s current treating psychiatrist all back up his claims of memory loss due to a combination of opioids and nerve pain medications he was taking at the time. Hickey added that a brain scan showed Stagliano has a lesion on the part of his brain that controls memory and cognition, which would lend his story some credibility. “The fact that there’s a lesion on his brain doesn’t lead to the conclusion that he’s lost his memory,” the judge said. Hickey said he was unable to get a complete update on Stagliano’s treatment before the hearing Tuesday, but Coll has ordered that a report be delivered within two weeks recounting precisely what is being done to restore his memory. Hickey later said the record indicates that the combination of medications his client was taking actually precluded him from forming those memories in the first place, so it would be very difficult for him to regain them. The next scheduled hearing is March 5. How embarrassing! He thinks playing stupid is going to save him? Give me a break! NASGA is a 501(c)(3) public benefit civil rights organization. Guardianship Abuse / Conservatorship Abuse IS Elder Abuse! Another great way to donate to NASGA is by doing your online shopping with Goodshop! They will donate up to 20% of your purchases back to us and offer great savings at places like Neiman Marcus, Adidas, and Sundance Catalog. So, you can save money and help us stop guardian abuse too! Victim stories are written and submitted by individual victims. NASGA has no knowledge or responsibility as to the accuracy or validity of their statements. Use of any such story or information contained therein in any manner is not authorized without prior written consent from NASGA or the individual author. Comments on this site are moderated. NASGA reserves the right to accept, reject or delete any comments posted. Comments are the sole responsibility of the sender. This site contains links to web sites controlled or offered by third parties (non-affiliates of NASGA). NASGA hereby disclaims liability for any information, material, products, services, or any other, posted or offered at any of the third-party sites. By creating a link to a third-party site, NASGA does not endorse or recommend any products or services offered. NASGA further disclaims liability for the content, security, validity or accuracy contained in said third-party sites. NASGA (National Association to STOP Guardian Abuse, Inc.) is a 501(c)(3) public-interest, civil rights organization formed by victims of unlawful and abusive guardianships and conservatorships. We seek legislative reform of existing law and upgrading of criminal penalties for court-appointed fiduciaries misusing protective proceedings for unjust enrichment and engaging in elder and family abuse. 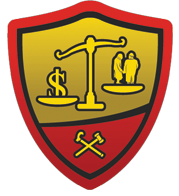 Our mission is to promote the safety and well being of adults subject to injury and damage in their person and property through unlawful and abusive guardianship and/or conservatorship proceedings; to end the growing violations of due process, civil and human rights; to work towards ultimate legislative reform of guardianship as presently practiced; upgrading of criminal penalties for court-appointed fiduciaries misusing protective proceedings for unjust enrichment; and to be a support organization for victims and their families. We carry out our mission through research, outreach, education and advocacy; and going forward, by alliance with community interest, law reform, civil rights and other advocacy organizations. Any copyrighted material included herein is distributed in accordance with the Fair Use section of 17 U.S.C. 107, in the interest of public research and education, without profit. NASGA claims no credit for any images posted on this site. If there is an image appearing on this blog that belongs to you and you do not wish for it to appear here, please E-mail at Info@StopGuardianAbuse.org with a link to the image and we will promptly remove it. Comments and opinions posted to our Blog are our readers - not NASGA. We do not censor comments, and we welcome opposing views. We do reserve the right, however, to delete any submitted comment which contains foul or obscene language. Please visit our website by clicking the link below for more information on how you can help stop guardianship / conservatorship abuse.